Today we went to Nijinohara Special Education School and played alongside the students there. 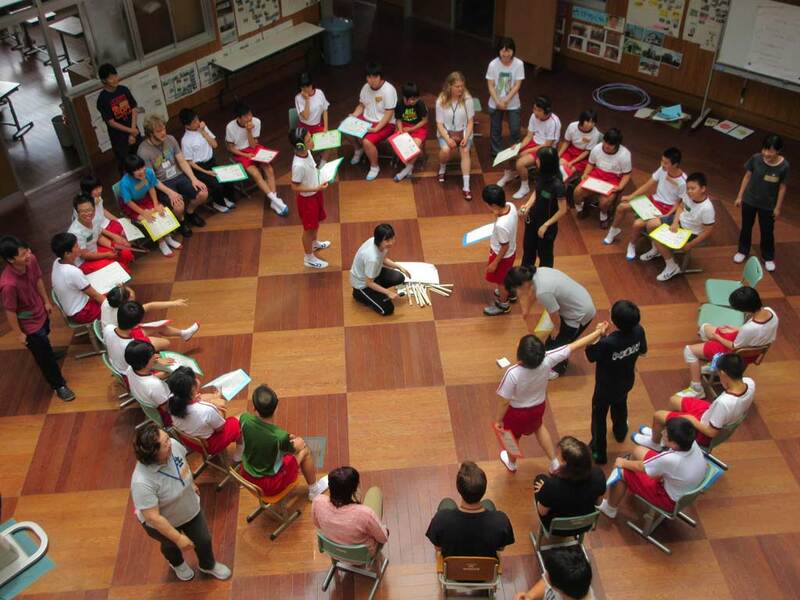 After an introduction to the history of the school and what its purpose is we were divided into three groups. I was in group A along with Juuso, Aimee, Joseph and Towa. After we had gone to our individual groups we did introductions in Japanese to the first-year students. After the introductions were finished we started playing games with the first-year students. The game was basically “fruit-basket” but instead of becoming a fruit you were to pick your favorite color. When everyone had picked their colors and I had my favorite blue we were told to pair with somebody of the same color. Some of the students were slower, some faster and some shy. However, there were not a single student or WCJ member who wasn’t having fun. After a while the game ended and we moved on to the next game. The goal of the second game was to, after splitting into four teams, bring colored balls from one box out of three located in the middle of the room. You would go one at a time but you were only allowed to pick up the balls with a ladle. My team came in at the shared last place with 21 balls. The team that got in second place got 23 points and the winners had carried 24 balls to their “home”. We then went over to saying our farewells, and the students had prepared a song which included the five of our names. All in all it was an amazing experience, not only did the students enjoy themselves, but I was recognized from last year by one of the teachers and ended up talking to her for a while.